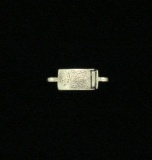 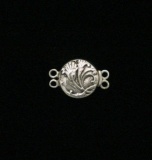 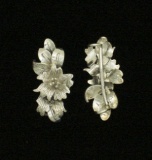 26x16mm floral garden with sunflower - 2 rings. 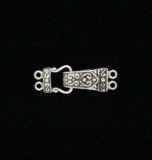 Very detailed. 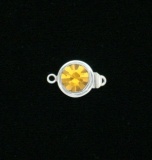 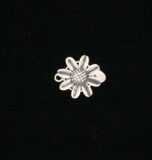 22x12mm double daisy - 1 ring. 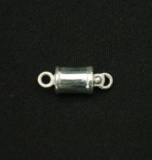 Perfect for many applications. 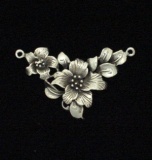 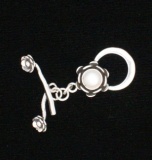 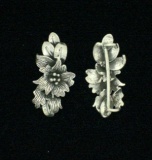 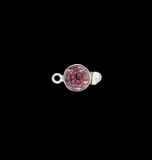 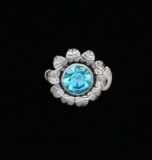 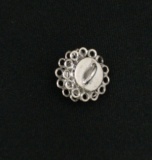 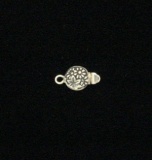 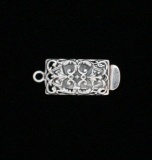 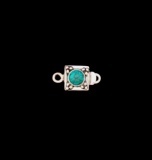 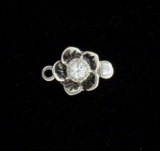 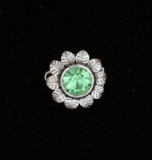 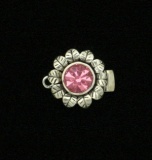 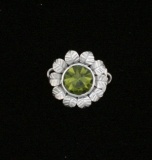 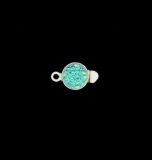 12mm round clasp with detailed flower pattern. 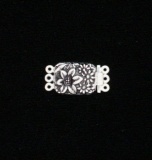 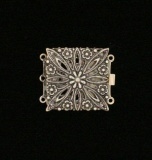 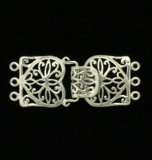 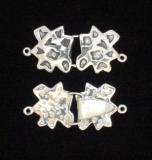 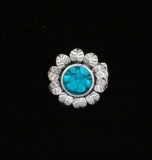 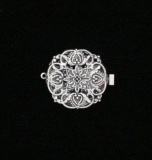 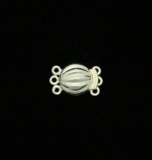 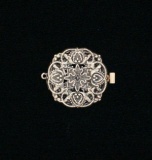 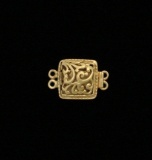 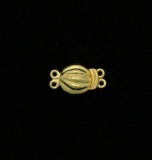 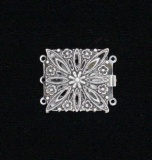 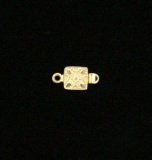 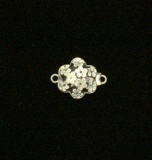 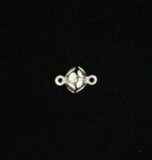 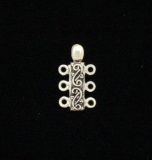 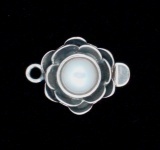 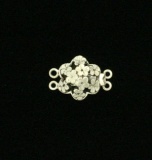 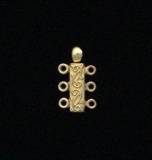 22x20mm openwork flower - 2 rings. 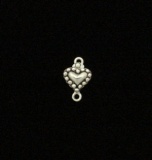 15mm heart surrounded with dots...so cute. 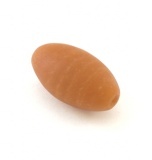 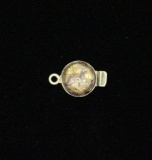 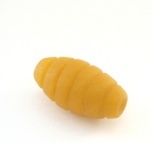 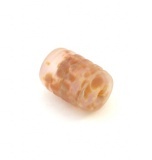 14mm gold/taupe coin pearl 1-ring. 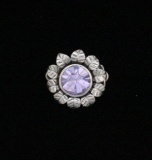 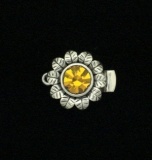 24mm floral amethyst and citrine 3-ring. 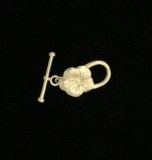 Push on petal to open the clasp. 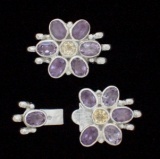 20mm floral amethyst and citrine 3-ring. 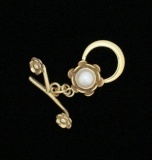 Push on petal to open the clasp. 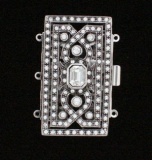 Crystal and pearl deco necklace featuring the 3-to-1 vintage crystal clasp. 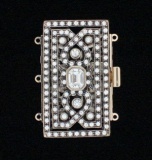 See Swarovski and Vintage Crystal categor. 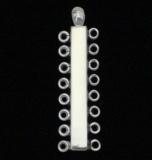 Multiple strand yellow pearl bracelet featuring 3-ring Thai flower clasp. See Flower category. 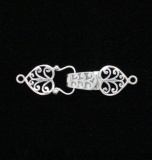 This gorgeous bracelet was made by Angie uses our bar and hook clasp. See contemporary category. 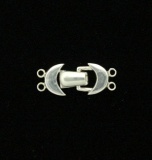 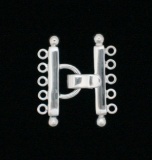 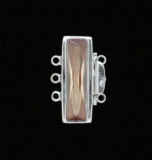 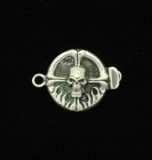 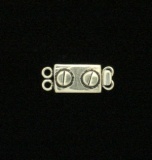 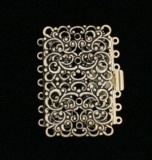 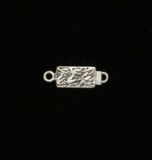 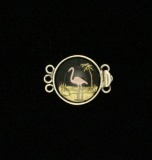 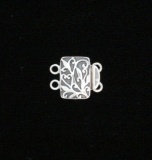 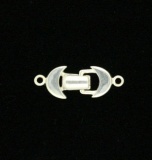 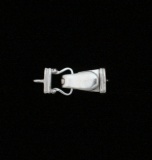 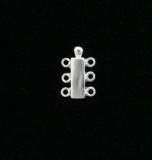 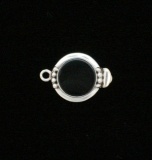 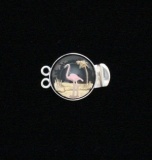 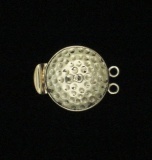 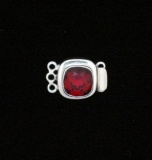 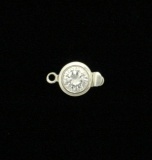 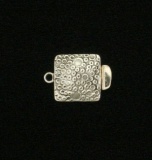 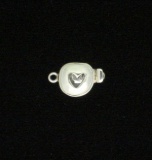 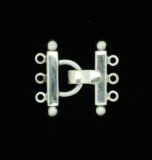 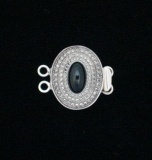 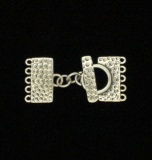 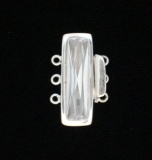 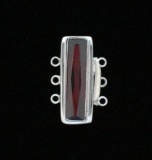 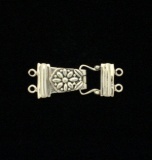 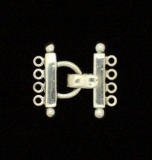 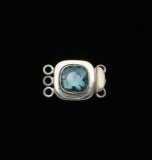 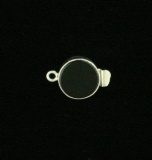 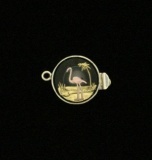 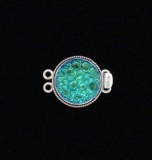 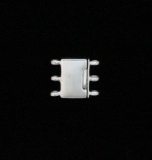 This is an example of what you can do with our limited edition button clasps. 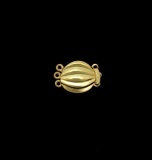 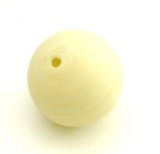 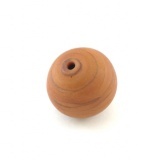 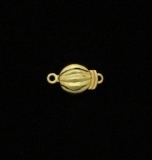 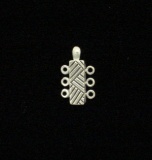 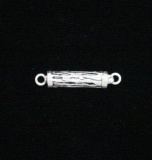 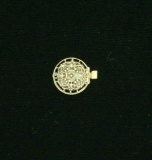 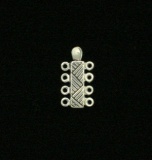 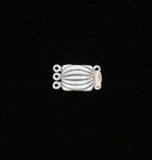 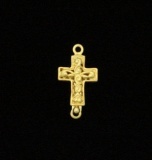 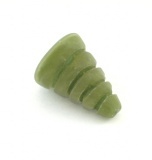 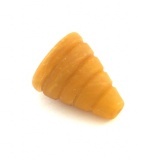 See Limited Edition and Bead-Thrus category. 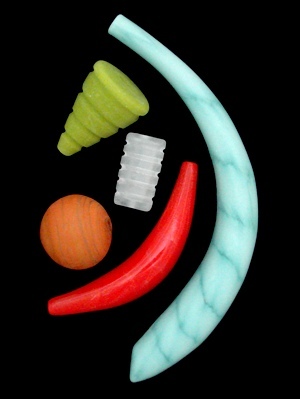 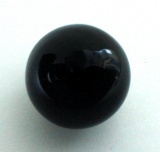 This multi-colored bracelet festures the black 7-ring oval. 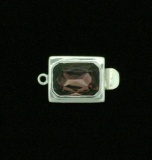 See Dichroic category. 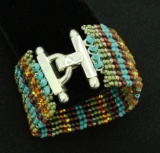 This woven bracelet features our glass topaz opal clasp. 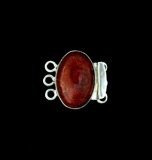 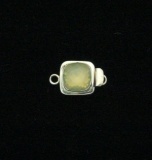 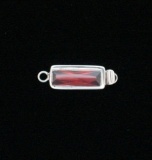 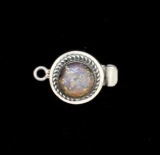 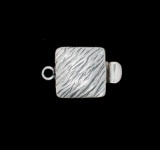 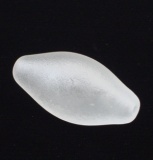 See Glass Fire Opals. 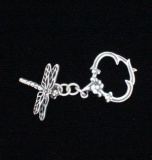 Chainmaille bracelet features embossed clasp with stone. 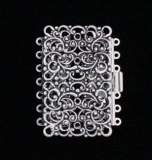 See Embossed category. 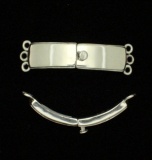 These two bracelets feature our vermeil clasps. See Vermeil category. 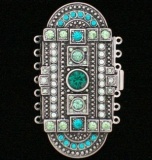 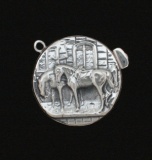 Our horse clasp look phenomenal on thi 3-strand turquoise necklace. Multi-strand pearl bracelet features our 3-ring hammered clasp. 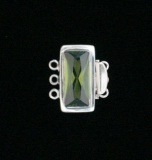 See contemporary category. 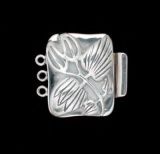 This multi-strand necklace features our new deco leaf clasp. 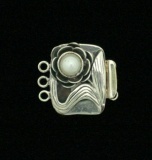 See Contemporary category. 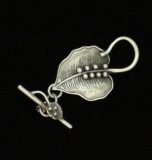 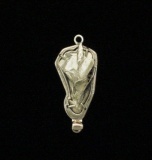 This chain necklace is enhanced by our new large leaf clasp. 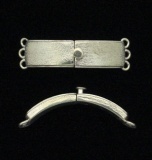 See Contemporary category. 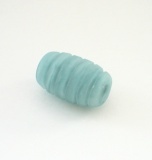 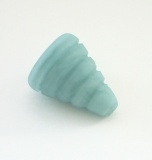 12mm glass blue baby bubbles. 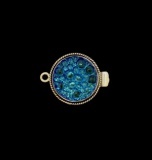 Bermuda blue transmits dark blue to green aqua. 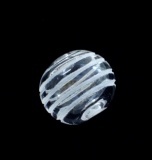 12mm glass baby bubbles. Volcano transmits a golden color. 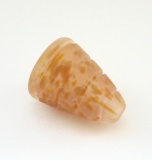 24mm floral onyx and white topaz. 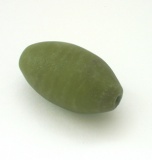 Push on the petal to open the clasp. 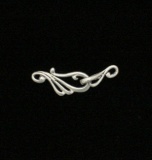 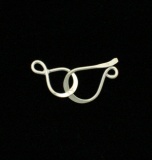 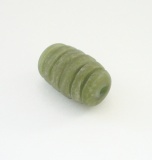 50x14mm curved shiny 3 ring bar with delicate rope around the edges. 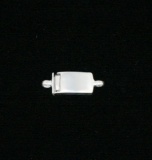 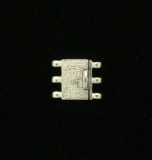 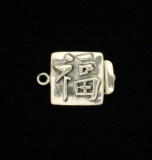 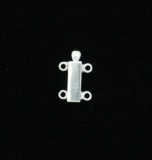 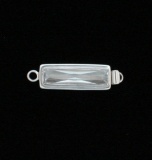 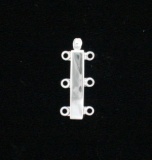 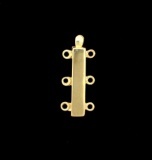 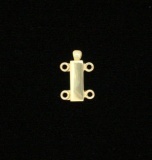 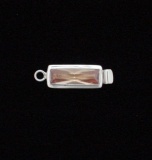 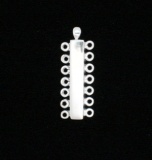 18X12mm rectangle with a slight curve. Precious. 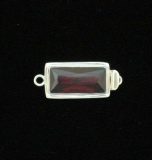 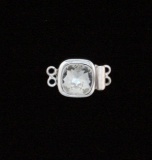 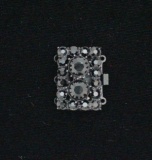 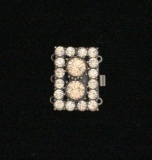 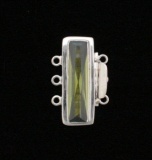 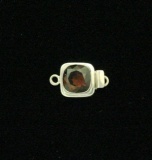 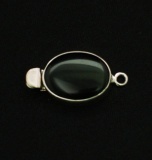 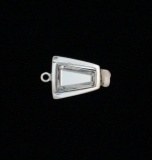 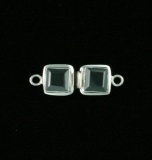 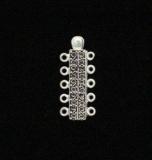 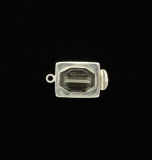 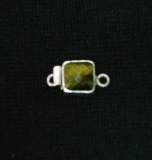 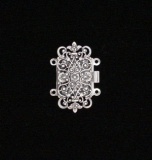 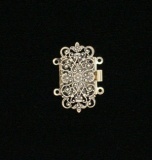 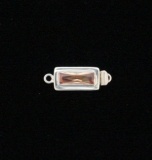 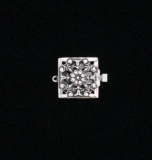 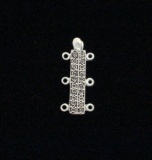 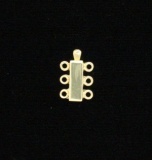 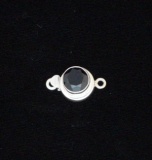 22x18mm vintage black diamond crystal - rectangle.